Sones de México Ensemble presents their new live score to Sergei Eisenstein’s lost silent film masterpiece “¡Que Viva México”. 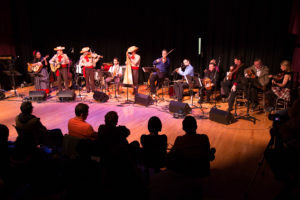 Sones de México Ensemble along with Seán Cleland and the faculty of the Irish Music School of Chicago explore a little-known chapter in U.S. History. 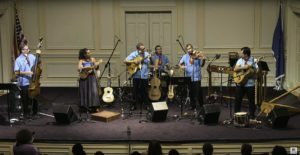 With music, dance and balladry, two of Chicago’s most prominent communities with immigrant roots, both known for passing down traditions from generation to generation, will bring together the fiddles, harps, accordions, foot tapping and voices of Irish jigs and Mexican son to tell the story of Los San Patricios. Always wanted to dance to Mexican music, but were afraid to try? Now you can! Join us on Chicago’s front lawn for a FREE Chicago SummerDance concert!